Every state's automobile insurance laws are different. While most require you carry bodily injury and property damage liability coverage, not much else is required. Some states mandate you purchase uninsured and/or underinsured motorist coverage and most no-fault states will force you to purchase medical coverage for yourself. But what happens if you are involved in a fatal car accident? Do you have auto insurance death benefits? The sad truth is that most states do not require you to carry medical coverage, or personal injury protection. Even those that do require medical coverage do not force insurance carriers to include death benefits in their policy coverage options. This means you are responsible for asking every carrier from whom you request a quote to disclose what benefits are available under the medical portion of your policy. Funeral and burial expenses are pretty self-explanatory. The insurance company will pay a reasonable and ordinary amount to cover the burial of a person killed as a result of an automobile accident. 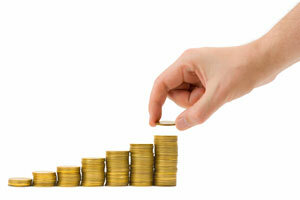 Income continuation can be handled in one of two ways. The insurance carrier will either pay for future lost wages (what the victim would have earned if he had not been killed) or the wages he lost while he was living (or the time between the accident and his death if his injuries did not immediately cause death). The auto insurance death benefit that offers replacement services is designed to help a surviving spouse get back to normal. If the deceased always mowed the lawn or performed home maintenance tasks, the surviving spouse may have to hire someone to do those things. Most auto insurance death benefit clauses stipulate that the death must be accidental. If a driver got behind the wheel with the intention of committing suicide, benefits will not be paid. When using our site to request auto insurance quotes, pay special attention to the medical and death benefit options you are quoted. Every company offers different coverage options with different limits. Take advantage of these additional coverages if you can!